Written by: admin on May 5, 2014. When Pen Farthing, a Former Royal Marine Commando, arrived in the war torn town of Now Zad in Helmand Province of Afghanistan in November 2006, he thought he would be helping the local people. Little did he anticipate, Farthing would soon come to realize that it was not just the people of Now Zad that needed help; it was also the stray animals that needed attention as well. 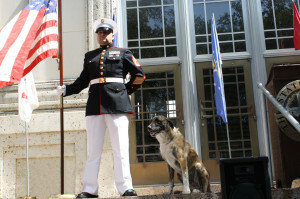 Farthing experienced this first hand, one day, when he broke up a dog fight only to be left with the most faithful furry four-legged follower. 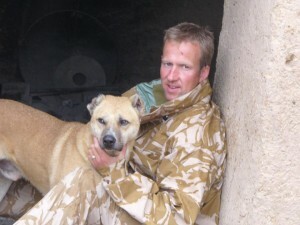 Farthing named his newest shadow “Nowzad” and eventually brought his little friend back to the UK. 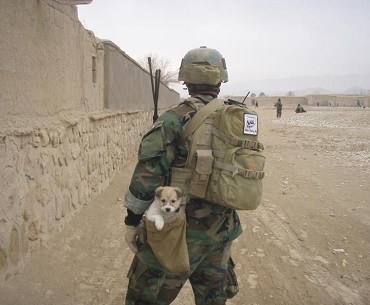 From that experience, Farthing founded Nowzad Dogs in 2007 to help stray and abandoned animals throughout Afghanistan. It is stories like the undeniable camaraderie between Lewis and Peg that drive the hard work and mission of Nowzad Dogs every day. 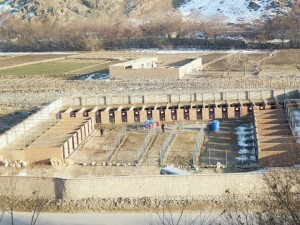 However, working to create a better life for the animals of Afghanistan can be challenging. Hannah from Nowzad Dog declares “Working to help the animals in one of the most dangerous places in the world is by far not without its difficulties. The most simple items and tasks that many other organizations take for granted is something we are challenged with every day.” Security, electricity, and sourcing products for the animals can be daily hurdles for Nowzad Dogs. Through CAF America’s Donor Advised Fund service, all donations to Nowzad Dogs are operated through the Soldiers’ Animal Companions Fund. The SAC Fund allows multiple donors from the United States to support the cause of United Kingdom based Nowzad Dogs. Thus, US citizens can make tax-deductible donations when donating to Nowzad Dogs. Therefore, more funds can reach Nowzad Dogs, which ultimately can reach more animals throughout Afghanistan. For more information, go to: http://www.nowzad.org.